This is a book that wows you from the very first page. Its simple elegance will warm your heart and make you smile. It’s the kind of book you read again and again without stopping, while you run your fingers over the divine illustrations. 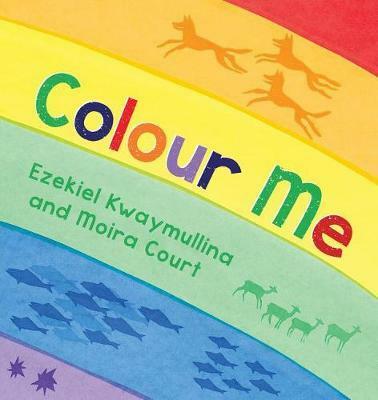 Colour Me is an exploration of the colours of the rainbow and some of the animals and elements of nature that share those colours. With soothing repetition and simple text, award-winning author Ezekiel Kwaymullina delivers a magical story about the beauty of difference and the wonder of different elements coming together to create something amazing. Moira Court’s colourful print-style illustrations bring a wonderful warmth to the pages, and there’s a beautiful pattern to the drawings that flows perfectly with the story. There is also something really special about this book. As you move through the colours, you will quickly notice there is no pink or purple. Instead, you’ll read about vibrant indigo and gentle violet as the story showcases the true colours of a rainbow. It’s a must-have for schools, covering themes of nature, wildlife, creativity, diversity and individuality. And at home it makes a gorgeous bedtime story for little ones, with shorter text and a gentle tone. Recommended for kids aged three to five, Colour Me is a vibrant, heart-warming story you will treasure for many years to come.